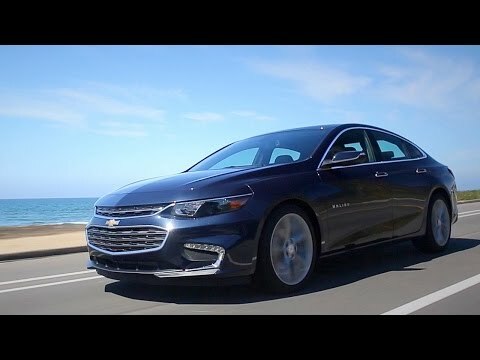 After a nearly unprecedentedly comprehensive redesign last year, the 2017 Chevrolet Malibu rolls along with fairly minor changes. But that's fine, as this is a midsize sedan that runs with the big dogs from Honda and Toyota. The lineup includes a choice of turbocharged 4-cylinder engines, a fuel-sipping hybrid, sleek styling, a roomy interior, modern technology and a competitive price. I actually love just about everything about this vehicle. The inside is set up with a screen that my phone connects to for maps, phone calls, as well as music apps. , making my drive safer. Also, my car reads my incoming text messages to me so I don't ever have to take my hands off the wheel. The interior is comfortable and set up for easy adjustments involving the seats and steering wheel. The gas mileage is pretty amazing and my car automatically turns off at long stops to prevent the use of gas. The drive is very smooth and comfortable. Also, it is very quiet! I love that the outside sounds are drowned out while I am in the car driving making for a peaceful, enjoyable ride. The only thing that I can say I dislike is the fact that Malibu's are no longer 6 cylinder, they are 4 cylinder and have small engines so if you like your car to really go when you hit the pedal, this car will not do that. It still, however, speeds up nicely and changes gears smoothly, especially after 30 mph. That is my only complaint about the vehicle. It is otherwise treated me and my family extremely well and has been very reliable. I was particularly impressed at how great it started up during our colder months when it was below zero degrees outside. It started up without any hesitation. I have the hybrid model and it is incredible on fuel efficiency. Backroads I can get over 50 mpg, interstate going 75 I get 38 mpg. Comfort of the leather seats is top notch and it's amazingly roomy. Great sunroof. Very responsive and fun to drive. Some items are less than optimal. Lane keep is average and could use improvements. Forward collision warning is very sensitive, even on its lowest level. Infotainment System also has been having problems with repeated shutdowns. Overall, incredible car I'd recommend to anyone. It turns self off to save gas if I am in traffic or stopped at a stop light. I love this car. The previous car I had was old, run down and constantly had issues so my 2017 Malibu was a breath of fresh air. I have only had one issue with it and I have had it for over a year now. The car wasn't reading that my car was in park which would result in my car refusing to turn off for about 5 minutes, then it would just turn off by itself. I ended up informing my dealership & they got it fixed for free under my warranty which was greatly appreciated. Besides that, I love this car! GM will notify owners, and dealers will replace the rear side air bag modules, free of charge. The manufacturer has not yet provided a notification schedule. Owners may contact Chevrolet customer service at 1-800-222-1020. GM's number for this recall is 16146.